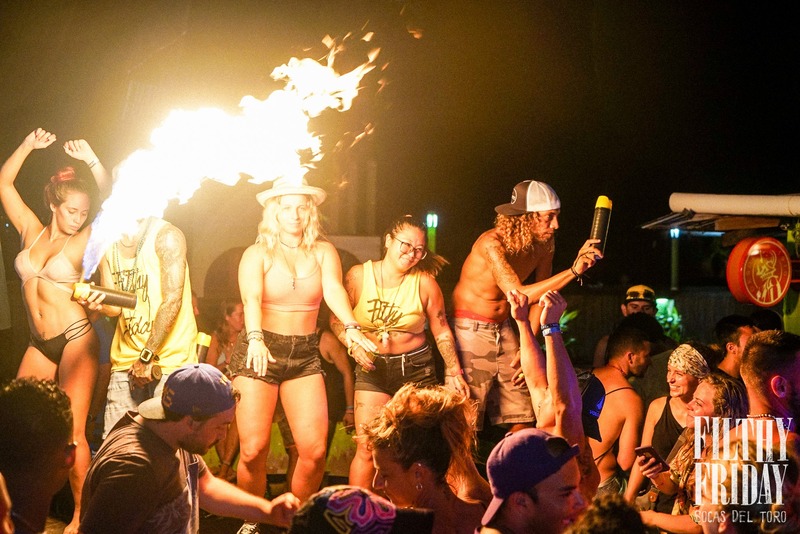 Filthy Friday is Central America’s 1st and only island party crawl. Every Friday, hundreds of travelers from all over the world arrive in Bocas to party all day like crazy on 3 Bocas del Toro islands. RSVP online at filthyfridaybocas.com. Ticket Price includes: tank top & beach bag, entrance to 3 parties, boat rides to islands, free welcome shots, temporary Filthy Friday tattoos, floatie race with prizes.